Preeti Rao nominated as ‘International Committee Member’ by National Wellness Institute, USA, (Only 10 Member Worldwide) for her pioneering work in the field of ‘Health & Wellness’ in India. 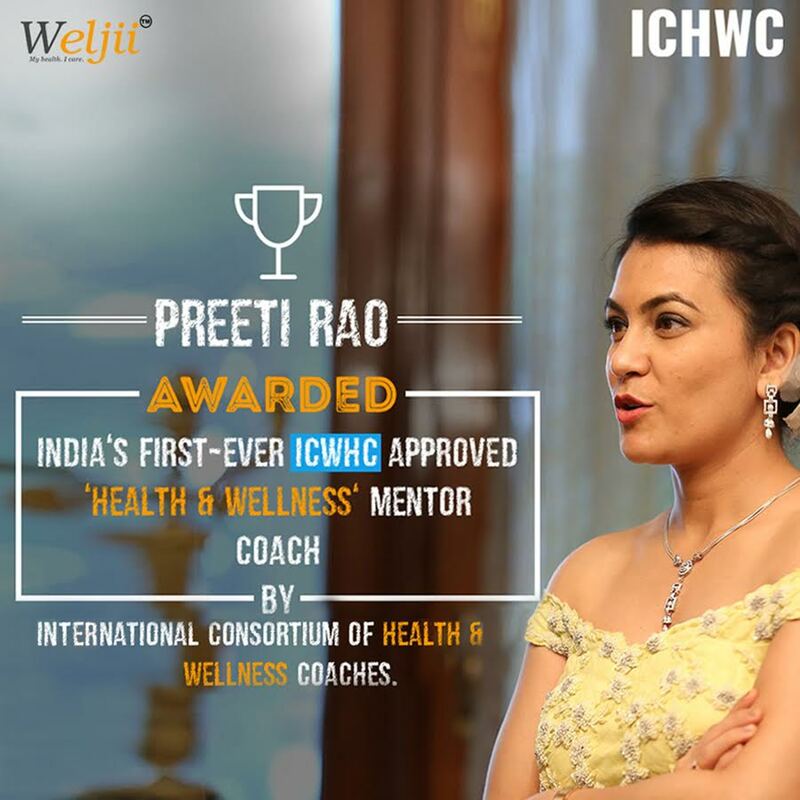 Preeti Rao awarded India’s first-ever ICWHC Approved ‘Health & Wellness’ Mentor Coach (Only 20 People Selected Worldwide) by National Consortium of Health & Wellness Coaches. Weljii Centre receives the ’50 Best Wellness Companies’ (Global Listing) Award by the World Health & Wellness Congress for their ground-breaking work in the field.